Is pvc a good material for this? Does it transmit heat readily? Hi -- Have a look at the link above to the details on Matt's project. I think it will answer your questions. 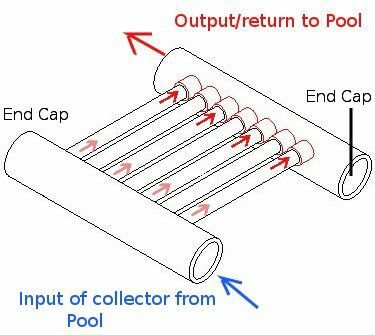 Hi -- PVC is fine for pool collectors. Most commercial pool collectors are plastic and they show high efficiencies -- mostly because heat loss to the air is low because pool water is normally about same temperature as the ambient air temperature. Great post, I was always told that PVC pipe was the thing to use. I've never heard of using the copper tubing. I would think that it would take a long time to heat any amount of water in such a small tube of mines.